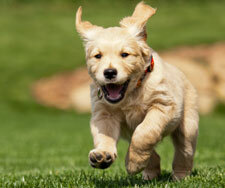 The creator of Peanuts, Charles M. Schulz famously once said, “Happiness is a warm puppy.” We couldn’t agree more. It’s not uncommon to hike in the summer along any of the trails around Lake Tahoe and Truckee and run into several furry friends along the way. Dogs abound in this area, and it’s easy to see why! The fresh mountain air and miles of wilderness make Truckee-Tahoe one of the most dog-friendly places. Not to mention the snow-loving pups in the winter: lots of powder play for them!